Finally after a long wait, Samsung has started pushing up Android Jelly Bean firmware updates for Samsung Galaxy S Advance users. This phone initially launched with GingerBread firmware didn’t even receive ICS update. The first country to get jellybean android 4.1.2 firmware update is Russia. Firmware updates for other regions like India, UK, US, etc will be released later, but why wait? With our tutorial given here, you can flash your Galaxy S advance phone GT-I9070 with official Android 4.1.2 firmware. So, if you’re like me, impatient and want to get your hands on the goodness of JellyBean, go ahead. Backup your android phone because after flashing this firmware, we need to factory reset our phone. Risk: Sometimes things may go wrong, so proceed at your own risk..
Download XXLPY JellyBean firmware for Galaxy S Advance from here (resume, download manager-supported mirror link), Update 2: Official Indian Jelly Bean firmware for Galaxy S Advance has also been released, download it from here or here. Download ODIN for Samsung Galaxy S Advance from here. Now press volume down key+ home key + power button together simultaneously for few seconds until you get haptic feedback from your phone i.e. until your phone vibrates to enter download mode. Now press volume up key to confirm that you want to proceed ahead when asked to do so on the screen. Launch ODIN program on your computer. Make sure Samsung Kies program is not running on your computer at that time. If it is, just close Kies. Connect Galaxy S advance phone with usb data cable to your comuter. In ODIN program, you’ll see a box colored with com number indicated. In the log section of ODIN program, it’ll display Added message. This indicates that your phone is successfully detected by ODIN program. Click on PDA button and browse to the firmware extracted folder and select the firmware file. Hit on Start Button. You’ll see the download progress bar moving on your phone. Wait for sometime. Since this is major release, you might have to wait a little longer. After flashing everything, ODIN will reboot your phone automatically and display PASS message in its box. Done. When phone starts again, it’ll take time to start. It’ll display that Android is upgrading and optimizing apps. You’ll be presented with Set-up wizard where you’ll have to enter certain details, select your language, enter your samsung account details, etc. After completing everything, you’ll find that all your previous apps, messages, contacts are intact. Well, don’t be hopeful because you might face several problems like no network connectivity after flashing jelly bean firmware on Galaxy S Advance, or the UI screen very laggy, or excessive RAM usage, etc. To solve such issues and to experience speed Jellybean butter effect, you have to factory reset your phone. So, Switch Off your phone. Press Volume up key + Home button + power key together simultaneously to enter recovery mode. Use volume up/down key to navigate through the options and power key to select/execute a particular option. Select Wipe Cache here. Now select Factory Reset. Now Select Reboot. Galaxy S Advance will reboot in normal mode. After successful start, you’ll be again presented with Set-up wizard. Here, select English language first of all as the defaul will be russian. Now proceed as usual with other details. Done! Now enjoy and experience JellyBean on Galaxy S Advance phone in any country. Do tell us what’s new in jellybean for galaxy s advance. We’ve found speed improvement, RAM addition (about 100mb more RAM), Zoom support in Camera, Pop up Play support, Smart Dial feature, Shortcuts on Lockscreen, Nature UX Touchwhiz UI, etc. Unfortunately, Smart Stay feature is not there. Sir, I want to upgrade to 4.1.2. Is this need to root my phone? No, you don’t need to root phone.. You can update without rooting by following instructions explained above.. I HAVE FOLLOWED THE STEPS AND IT WORKS FINE, UNTIL, I FOUND OUT THAT I CAN’T SET DNS. DO YOU HAVE ANY WAYS TO SET THE DNS? I HAVE TRIED USING APPS BUT IT DOES NOT WORK. USUALLY IT THE ‘SETTING’ MENU WHEN IT WAS A GINGERBREAD I CAN SET THE DNS, BUT NOW WITH THIS JB 4.1.2 THERE ARE NO OPTION TO SET IT. PLS DO HELP ON THIS. TQ. After rooting the device, use any app to change dns.. I hope this helps.. I didnt given the same for my mobile. Pls replyhow can I find the key. If Samsung releases, you’ll be able to! if i install JB with XXLPZ any kind of signal problem will be caused? In the video in sgs advanceJB signal is loosing. As I instructed in the video that the phone needs factory reset after upgrading, else you might encounter network signal problem. after flashing with given firmware what about samsung given manufacturing warrenty?? If i flash jellybean 4.1.2 to my galaxy advance and the ”official” firmware for my country is available, will i be able to install the updates that will be released in my country after the xxplz firmware or do i have to flash the version of my country to my phone when it is released? I have downloaded the suggested softwares for the purposes of upgradation of Samsung Galaxy S Advance as per procedure explained by you. However when I want to extract the file XXLPY JellyBean firmware, I am not able to proceed further as I keep getting error reports. Please guide me as to how to extract this file so that I can benefit of upgradation. Regards. Download 7-zip program to extract it (7-zip.org)..
Download 7-zip program to extract it (7-zip.org). Thanks!!!!!! U are awesome! THANKS!!! thanks a lott…i was really waiting for this onee..everything went well…i did the factory reset and backed up my cell again…but it seems that the internet(3g) works very slow….it was not soo when i was using ginger bread…that too only the downloading speed is slowed down way too much…rest all browsing facebooking is okk…thanks!! Hi. Do you know why my rooted phone cant go in dowloading mode? Please help, i want tomake update bu dont go in recovery. Whats up? You’re not able to go to download or recovery mode? do u install kies to ur pc ? hey saurabh i installed jb 4.1.2 xxlpz my phn is hanging when i play the video it stucks! n when i play the game it crashes n stucks what can i do i clear the ram also when i play the games even my frnd phn is also hanging what can we do even i rooted the phn also reset i try every thing bt its lagging?plzzzzz help me……………!!!!!! download only one file of the two. How do I get GB back?? We’ve replied this answer several times. Read other comments and use search feature on this site before asking any questions.. This will speed up solutions and prioritization. My s advance hangs alott. when jelly bean update will officialy come to india …………………any idea…………..? sir,how to make a screencapture. i cant SC after update. ohh okay nvm sir. i’ve found out the solution. I m not able to take screen shot…..could u plz tell me?? Is the phone not turning on? What’s your phone model number? your doing it great but my problem is i cant see te COM number. Sir, do i need to use the latest odin version before i start the process. i’m kinda nervous about what’s gonna to happen to my phone. i’m afraid the maybe my phone might not turn on again ever like blank. Download ODIN from the link given in the post.. Flashing is risky process., but if you follow the guide as mentioned. You should be safe.. This tutorial is strictly for GT-I9070 model. I have followed all the steps but it said failed, now I can’t boot my phone!!! Please tell me why!! Is your phone GT-I9070 or GT-I9070P? Downloading and installing 7zip does not help me when it comes to the problem of extracting the update zip file. ive done all the steps u said but i have a problem in odin it says no memory what it is? Hi, i have updated my s advance phone, everythng done its working fine, bt i can’t change my IP address, it says unavailable, pls help me..
From where (which setting option) are you trying to change ip address and why? yes, m trying to change IP, becoz I want to access internet from domain server so. That’s what I am asking.. From where are you trying to change ip? In Aceess Point names? What’s the option name that you’re trying to change? You might be already connected to network resulting in failure to change ip address.. Disable packet data connection and then change ip address.. If you’re trying to change ip address in WiFi.. then just press and hold on the connected WiFi network and then select Modify Network config.. And then enter password.. Select Advanced options.. Scroll down and change DHCP to static and enter ip address.. and then save.. Please help. how can I unroot my phone after doing this rooting? We’ve provided two links.. Try from either.. There might be problem in your net connection.. The 1st link is resume supported so download via any download manager.. So, if it cancels in middle, you can start again from the same middle point..
while i m download, suddenly stop from download..
my phone baseband ver. is i9070JPLD3. iIts not working the ODIN and not recognizing my device what should i do? and also its not downloading also in the phone? fIRST, LET odin recognize your device.. For that, install Samsung Kies on your pc and connect your phone with kies.. Samsung kies will install the drivers required for detection of your phone.. Then close kies and run ODIN. It’ll recognize your device..
sir,after loadig PDA file and i clicked on start button it is showing that “the parameter is incorrect” please help me what does it means…? You might not have selected the downloaded file properly in PDA.. In your other comment, you’re still figuring out appropriate way to download, and in this comment, you’re already using ODIN? kinda confused.. Where are you exactly stuck? extracted PDA file it is showing “the parameter is incorrect” with a dialogbox so what to do..? That means you are getting error while extracting? This happens because the file was not downloaded successfully.. Download again.. Use the 1st link as the 1st link supports resume which means you can pause and resume downloads at any time..
Download it from your browser and you can use any download manager to download it at faster speed.. Remove the battery and reinsert it.. Make sure your battery is charged.. Try to turn on the phone.. I hope you’ve flashed the appropriate file on GT-I9070 i.e. Galaxy S Advance phone and not any other model. How should I back up my files.or it’s going to back up automatically? Your files, videos, pictures won’t be erased.. Your contacts, messages, apps will be erased after factory reset.. Export contacts to a file by choosing Import/Export option in contacts.. Backup messages using any app.. You can also backup apps using titanium backup or any other similar software from Play Store..
yes i used the GT-I9070 my battery is fully charged and i used the file from the link in the discription and it still doesnt turn on no mater what i do. Go to recovery mode by pressing volume up+home+power button together and tell me if you’re able to enter recovery mode.. Also try going to download mode.. If you’re able to enter any of the two modes.. In recovery mode, try factory reset option and then reboot.. If it still doesn’t start, try download mode and flash older firmware again.. Uh my phone doesnt even turn on to any mode its like dead. It doesn’t go to Recovery-Mode.. My phone will not start, what should i do know? Your phone is bricked.. Take it to service center.. I don’t understand why, because many other users have reported success with the update..
Maybe you would know why did this happened? In normal circumstances, this shouldn’t happen because several users and you can see in the video that I myself reported success with this update.. So, there must be something out of way in your case..
this is will reset my Language if i update my phone??? When you update, your language setting will remain as usual but we recommend factory reset your phone after update as mentioned in steps above. After factory reset, the language is changed to Russian but as soon as you start your phone for the first time, it’ll ask you to choose your language and you can choose the desired one. but my language is Hebrew so it can be removed if i will do the update??? Language can be changed to the desired one..
me too … I can’t find Arabic language … what should I do ??? i have successfully upgraded my phone to JB.after this Kies doest recognizing the phone what to do….? and after doing Wipe Cache/Factory Reset also my phone is little laggy and while playing any game it will struct in middle and some time UI wont work properly and some time phone will restart automatically….plz help me how to come out with it…? Check RAM usage.. There might be some apps using excessive RAM.. This is official firmware, if you’re not happy with it.. FLash old firmware of gingerbread again..
How flash back to old firmware..? You need to download the old firmware..
please give me link gingerbread old firmware. i want reinstall back to 2.3.6. very2 thank you. Did u install kies? Is your phone detected by kies? after update the JB os, we have install latest kies which is V 2.5.1, for 2.3 and older version it won’t support . wat do u say?? I’ve not checked it with kies..
how to extract file in odin. ?after i finish download XXLPY JellyBean firmware,when i tap PDA button i dont see XXLPY JellyBean firmware..how can i do..?please help..thank you very much!! Extract the file using 7-zip program..
and how to extract XXLPY JellyBean firmware..?sory because i not expert about handphone..hope you understand..
One more thing sourab, you said after JB update phone performance will increase right? ?, in my phone RAM usage increased to above 520 MB, is it normal?? Did you factory reset your phone? After factory reset, RAM usage goes to about 300-400mb.. I said that total RAM was earlier about 550MB, but after JB update, you’ll see about 650mb RAM..
You’re welcome and do subscribe to our youtube channel and like our facebook page given on the right side..
ya, i got about 625 MB ram out of that phone using 540 – 550 MB, and performance also little slow.. is there any solution? i did factory reset aslo, apart from that everything working fine..
Well.. I can’t really say anything about performance.. It depends on your apps and other things.. Also, Galaxy S advance is mediocre phone. You can just try to close unnecessary apps and check what’s is causing more usage..
ok..cool, any way thanx a lot sourab..
Don’t forget to subscribe to our youtube channel and like our facebook page..
Warranty issues – I can not confirm.. Every blogger has his own theories.. Some say that since this is official release, it should not void warranty, but I am of this opinion that since we’re using ODIN program to flash the phone and not the official Samsung Kies to update – Warranty issues may arise, but it depends – how they(service team) handle or you argument. When the official release will be out, you can flash again with the official firmware and so in such case warranty will be maintained. It also depends on Samsung Mobile service center and their support intention. So, I can not claim anything here. Proceed at your own risk. or you may ask Samsung customer care regarding this, but I think they’ll give you negative reply. About disadvantages of upgrading – well everyone has their own opinion. For some users, JB has increased performance, for some the opposite. Total amount of RAM has certainly incresed. 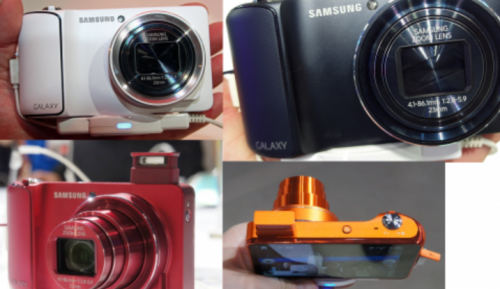 Camera zoom feature is available on JB..
thaks…:) :) i got a new official rom from sammobile its i9070xxlpz. can i flash it on my mobile by your step?? hey installation was succesful. while connecting to internet it say unable to connect network. please help. 1) I have backed up my data using kies for my galaxy s advance. After flasing Jelly Bean as per the above steps, will i be able to restore the data using kies? 2) will i be able to use kies with this phone after the upgrade? 3) Also in your tutorial video, u said that there will not be mobile connectivity. Will i get mobile connectivity after i factory reset my phone from the recovery mode? 2. Same as above.. although not confirmed because the phone is not now with me, so can’t check it personally. 3. Yeah, you’ll get connectivity as I’ve checked it personally after factory reset. GO to contacts on your phone and export contacts to sd card to backup contacts. What else do you need to backup? Thanks a gain…also..i have downloaded the firmware file…its shows as HOME_I9070XXLPY_I9070SERLPY_660490_REV00_user_low_ship.tar.7z. IS this the correct file? Or do i need to unzip it using winzip? Use 7-zip program to extract.. But can u connect to the internet with Vodafone ??? if my language is Hebrew and i do the updatemy language still be hebrew?????????????????????!!!!!!!!!!!!!!!!! Do we need to check Debug Mode while using this mehod. Please note a later firmware (XXLPZ) was released last night. This contain several bug fixes. I have updated to the XXLPY version, will I be able to flash XXLPZ version after doing this? Any reviews about the XXLPZ version? yes you can.. XXLPZ is relatively new so wait for a few days,..
sir can you help me with mobile data. the mobile data opens but it doesn’t work!!!! SET access point names in mobile networks in phone settings.. I did it successfully! Thank you Saurabh… Please let me know how to make the device visible in KIES, Its not detecting now.. Try changing USB connection mode.. Also make sure developer option in phone setting is turned off. Well, it may not work in Samsung Kies for now.. When the official update for your country will be released. Flash it with that firmware and then it’ll be visible in Kies easily. Subscribe to our blog from the right side and connect with us on Facebook, Google Plus, Twitter to keep yourself informed of updates..
As far as I know, RAM was about 550mb earlier and now after update, it has increased to 624mb..
my baseband version is I9070JPLD3 i can still update my phone or not???!!! plz can u tell me,how to download old firmware i.e 2.3.6 gingerbread can u plz tell me the link…? mailed you link on your email address..
the steps that i need to follow is same right…? yeah almost same if there is just one file after extraction..
i want it too .. i want to downgrade from your 4.1.2 to 2.3.6 official please help. I am running XXPLY firmware and have rooted my phone also. Now can I install new XXPLZ firmware using same method. Also do we need format cache partition also. Yes, you can… Formatting is your choice.. If everything works well without formatting, then don’t do it otherwise format..
Can I install titanium software. Your suggestions. I think titanium requires root.. Read my other article about how to root jelly bean firmware on galaxy s advance.. I succesfully update mine to JB..Thank you Saurabh..The problem im getting now is the magnetic sensor goes wrong..The compass app i installed showed the wrong north direction..i tried to install another compass apps and still show the wrong direction..any ideas to fix it?Thank you in advance..
after update , did you not face any problem like hanging restart automatically ant many other? Just want to share an interesting features in JB..there is option to show battery percentage ..can choose it in Setting> Display> Display Battery Percentage..Previously in Gingerbread i need to install GO Power Manager to have that battery percentage indicator..
XXLPY was released earlier whereas XXLPZ has been released few days ago.. SO, XXLPZ is newer.. Some users have reported better performance with XXLPZ..
you can turn usb debugging on..
Go to phone settings > mobile networks > Access point names .. And check it there is correct profile or make correct profile with apn.. Thanks Saurabh for the tutorial. It works fine. Lots of features like CPU power saving, motion unlock, etc. Which are added make it really interesting! Sorry, but one last question, should i turn usb debugging on when flashing my phone? And do i get the firmware updates from russia(like OTA or with kies) or do i have to flash every update that is released in russia? you’ll get OTA update as reported by few users..
it ok to use this firmware on malaysia .. Thanks Saurabh…for the tutorial. I’ve updated with XXLPZ. It works fine and the look & feel is nice. But my digital clock widgets are not updating time.It frozen after the screen lock. Is there any solution for this. while flashing computer need internet connection…?? sir nearly how much time required for flashing… and while flashing if power went off wat will happen….? Charge your phone prior to flashing..
Hi saurabh just wanted to know that, is there any possibility to enable otg support in my SGSA with XXLPZ. In such case, mobile maybe damaged.. It takes about approx 15 minutes for flashing, maybe longer in some case.. So, Overall, you must have 30 minutes of power supply..
sir smart stay means what…? Smart Stay is a feature which keeps the display of the phone on as long as you’re looking on your phone. This is useful when you’re reading something on your phone as the display won’t turn off as long as you’re reading. This feature is not available in Jelly Bean Update for galaxy s advance.. I successfully updated my lhone to jelly bean. But i cant take a screenshot llease help!! use home+power button to take screenshot.. Try it a few times, you’ll figure it out. Anyways my batyery is also draining very quickly please help. You can downgrade back to gingerbread from Jelly Bean on your samsung galaxy s advance if you want so..
Sir, can I use XXPLY files? cause i’m following your tutorial… Thanks for your tutorial anyway.. If upgraded to android 4.1.2, my s advance will become lag? i tried the combination u gave its still not showing/. Read the article carefully, we’ve already mentioned the differences.. Several news apps like Snapseed, Google Chrome, New Gmail, etc are supported on Android 4 and up versions only which include Jelly Bean..
1. Yes, you can go back to ginger bread..
2. I didn’t do anything like that.. But you may do so..
3. it is 7z because it is compressed using 7-zip program. You need to download and install this program to extract it. 4. There is always certain percentage of risk associated with flashing. SO, you either have to take the risk or just wait for official jellybean india update for galaxy s advance.. TO verify that you’ve downloaded the correct file, match the filesize.. After extracting, there is only one file you need to flash..
thank you…even i thought so..thanks for removing …but please contact atleast if you dont have any problem … and send me gingerbread link …. Have you extracted the downloaded file before selecting in PDA? Dear sir can u operat my pc through team viewer i have facing pda browser prblm there are not selected firmware file plz help me sir i m tottaly ambrassed i have several time tried but i can do it sir plz help me i have many time u send u comment and u suggest me every time but now i m facing trouble kindly help me? i am waiting for ur responses . 1) RAM showing only 625 MB as in GB it was 725 MB ( Correct me if I am wrong ). 2) Hanging problem when shuffling between various App. 3) Camera quality gets a bit low as comare to the previous version. It will be great if Saurabh would also share his experience with us on SGSA. PS. These all are my views & I don’t know about the others. does this Jelly Bean update can applicable for both 8Gb and 16Gb Version Handsets….?? Dear sir, I sami khan frm ksa I buy galaxy s advance last month dec i watched ur video and i m very impresed i have download firmware and odin3 . first i switch my mob and i press vol+home+pow after i go download mode . after i start my odin3 and click pda and browse the firware file but there are major prblm i saved this file is my doucument but this file is not shw the pda browse file how to select the browse file sir i try many time but i failed this prosugare. plz help he hope u understand with me sir. rply me fast. Flash player is not available on Jelly Bean.. 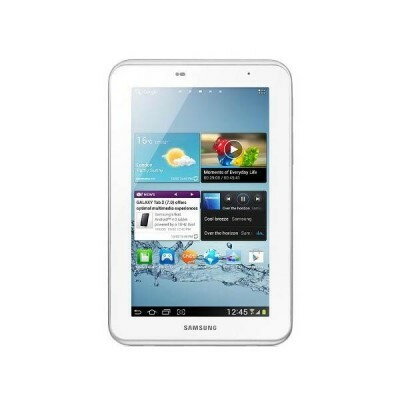 I have updated my galaxy s advance device to gelly beans but i m not able to use internet over it. so can u help me? setup internet profile i.e. access point names in mobile network in phone settings..
1. If you’re going to do factory reset, you may like to use app backup and restore.. You may not backup apps.. You can just connect your google account and all your apps will then again be downloaded..
2. TO revert back to gingerbread, the process is little complex. You can’t go back to gb just by flashing the gb firmware..
3. yeah, after extracting firmware, the total filesize goes above 700mb. 4. If it is of 7z format, you can use winrar or 7-zip program to extract it. 7-zip program is free to download..
5. If firmware flashing process has started, then it may brick your device if you unplug your phone in between. 6. Reset factory option deletes installed apps..
dear saurav thanx to given me information abt jely bean. i want to say something abt jely bean i did update xxply firmware but it is not fast can u send me xxplz link. Thanks a lot! .updated my phone to jelly bean sucessfully. Thanks for your guide.. So i Updated My My Galaxy S advance to JB now. But i have small issue regards to Mobile data connectivity.. I am unable to do any downloads from Google play from my Mobile data connection but i can access internet. but everything works very well in WiFi.. Check access point names in phone settings.. Always pay some of your time to read other comments and see if the query is already answered to someone else. This will save yours and mine time as well. Dear saurav can u send link gingerbread bcoZ jely bean is not fast internet plz send me gingerbread link.I m waiting u. Had a awesome experience but now my phone lags even after factory reset. iam plannin got install the official version when its released how can i get back to the Gingerbread version. i cnt use my mobile data packet… hw cn i use it?? Saurabh, I appreciate your efforts in responding to our queries patiently and in detail. Keep it up. Regards. hi , i dont know how to go to recovery mode…..i really appreciate your patience and efforts…however i took my phone to samsung center.. and they are going to fix it.. let c what happen ? Hi dear, i have a problem with my update! can i update in my phone i lives in india. After doing this should i lost my warranty from Samsung Mobile INDIA…??? Will this work with GT-I9070P? which one is suitable for updating my gt 19070P. You had answered No to a question from John. Sorry, the model is Samsung Galaxy S Advance with number GT-19070P. This is a product of Poland Samsung purchased in Singapore. I live in India. This model cannot be upgraded using the given tutorial here. after update my phone there is a bug occours somefime in play video and phone is hang what should I do? hye. may i know what is flashing? thank you..
hay. i installed it on my phone ,and everything warks good thanks . Is it compulsory to root the phone after updating it to JB? Also, if it doesn’t happen properly, will that brick my smartphone? Flashing process is considered risky so things may turn undesired leading to bricking situation..
hi Mr. Saurabh, whether it can be used in all countries? I am from Indonesia. What the Backup program do you use? Yes, it can be used in all countries.. Export contacts to sd card.. Backup sms via sms backup and restore app from Google Play Store.. Likewise, download app to backup apps..
i have made the update and it’s great. both has various problems like lag,heavy battery drain,processor speed has reduced to 800mhz….. etc.factory resetted many times but no good.Itried going back to gb but it does not work.i flashed original gingerbread firmware via odin but after flashing it stuck at bootscreen.tried many times and no good.i searched internet but the say that it cannot be downgraded.is there any way that i can go to gingerbread…..pleeeease help me……. Its the most stable jellybean for s advance. is it better than xxlpz?? what are the changes? how is xxlq4 firmware?? is it better than xxlpz?? im not satisfied with xxlpz please reply sir. No crashes or restarts. It happened tome with lpy. I think lq4 is the proper stable version for s adv. Maybe becauwe I have 1000 + contact. Battrey life similar to gingerbread. Battery last 24 hrs with 2g data always on for whats app and email. It hqs no crashes .. lpy would restart my ph ones in a while. Re read my last comment . Damn I am way bad with this keyboard. And what about lag in youtube and video player? I successfully updated my s advance to Jelly Bean. But I am having issues like the phone hangs alot ! and also I am unable to take the screenshot. you need to press the home button+power button for a longer time to take the screenshot!! I tried this many no of times. Its shows the recent apps. just wanted ur help in few questions..
i am from india as u are..
3> after flashng were will be the new os data be stored in the sd card ( that 11.34 gb given by samsung ) ?? i’ve completed this update successfully. Really thanks. Bt will this gonna affect my warrenty?? I just wanted to know that if I flash with XXLPY/PZ/Q4 whatever firmware is available whether I will be able to connect to KIES again? whether the original rom will be replaced? and what if the official update will be available through KIES later…??? at first thanks for your precious effort.everything is going fine after jb update.but in recovery mode neither can i change wipe cache nor factory reset.i used volume key to navigate and pressed home key several times but nothing happens.solutions???? how can i reset factory settings?? Press power button instead of home key..
how to see ram usage in s advance after jb update. and what about battery ? its draining so fast.???? i want to buy a new mobile in this range.. it this good or other is better than this below 20k? can you upload a video review for galaxy s advance with JellyBean? I found a flaw here, for its installation or upgrade process went smoothly. but, perhaps because of the upgrade package is not available in my country (Indonesia) SIM Card connectivity it can not be optimal. that could only call and SMS only. I try to use Mobile Data to connect to the internet it can not. is there a problem here? because I also do not quite understand the Android version. what can I do? thanks in advance. but whether this also depends on SIM card in each country as well? I’ve already made the access point but still can not. Depending upon network, you need to create access points.. Find out the apn from your network provider and set it accordingly on your phone.. Or download Tweakker app from Google Play Store which will set apn of your network automatically detecting it. I also upgrade using latest firmware I9070XXLQ4. it is working fine. using XL Provider. Mobil data also fine. Problem is only sometime laggy especially for youtube or mivo streaming. I didn’t face this problem when using gingerbread. i just want ask that if i flashed this (russian) jelly bean version on my s advance. And if after some time indian jelly bean update available for s advance will i be able to install indian jelly bean version on my phone without any issues. Hi. After I upgrade my SGSA with Jelly bean 4.1.2 . I have this problem .Baseband version is Unknown , IMEI is null/null. I type from dial pad *#1234# it’s show PHONE : Unknown but PDA and CSC is showed right. My SGSA’s origianl firmware is 2.3.6 (i9070ZCLH1) China. How can I fix this problem? Please help me. Can I fix this problem by installing it’s original 2.3.6 firmware? and then you need to flash your original 2.3.6 firmware again to get back to the firmware on which you were earlier.. Thanks for your help. My phone model number is exactly I9070 (samsung galaxy S advance 16GB) . I will try as your advice. Sorry for my poor English Skill. Saurabh I hav updated my s advance with russian firmware. 4.1.2 but its not working property hangs a lot. If i flash it can i still get the old version back ???? and if i have any problem will the samsung store help me???????? Yeah, Samsung will help you if your phone is in warranty. what i ment is since jelly been is not out in india so will samsung people question me as to how i upgraded it???? also will i be able to get back the old version if i dont like jelly bean???? Yes, Samsung people will help you as this is official update (It doesn’t matter whether it is for India or not. This is not custom ROM or Firmware).. Yes, you can go back to gb..
Will installing the Russian firmware also come with Russian system apps? Bro u rock !!!!!!!!!!!!! thnks a alot!!!! I used second download link for firmaware and follow instructions step by step and I brick my phone i9070P. does any of d firmware work in samsunsung galaxy s advance in india ?? Did you check access point settings? Thanks a lot for whole setup. i have complted process successfully. I am facing two issues my mobile network is disconnecting and system memory 2GB is shoing full. Kindly help me out. I hv done with update (PZ) but no multi windows option.can u explain why? Bro everything is fine just 1 doubt how do i use multi window and the new side bar????? the option does not come in the display option !!! !plzzzzz reply!!! Multi Window is not available for galaxy s advance..
and last question can u also give me the site from were i should download android 4.1.2 for ace s5830i???? sry for all the trouble!!! plzzzz reply on my mail!!!!!! I’m from the philippines and flashed my samsung advance to JB. I downloaded the LPZ file. I was successful and didn’t brick my phone ( i thought i did because it took too long to start after updating it to JB even after a long press of the power button). I got the file from a different website but the procedure was the same as what Saurabh gave to this blog. JB eats a lot of RAM amd was lagging. I did a factory reset and had a bit improvement but the phone was lagging and slow. I just received the latest firmware from KIES with the LQ4 latest firmware. It was still slow. I encountered a few bugs but was able to resolve it by checking other forums. I will try to do a factory reset to see if there would be improvement. I just don’t want to do it now because i don’t want to re download my apps again and change the setting. The good side is that JB will extremely improve your phone. The screen was more vivid and crisper. The touch sensitivity was improved drastically exept when its lagging. The UI was so beautiful. It feels like i bought the a new phone even though the phone was over 6 months old. I just hope we’ll get a better update from Samsung next time. Most of the users are facing problems playing videos.. These are updates official from Samsung so even if you get it direct from Samsung when it’s released for your country, you’ll face the issues most probably until the issue is officially fixed by Samsung..
Is your phone’s proximity sensor and Ambient light sensor working? after this JB update. Let me know, as it seems i lost both of them in JB udpate. Even i updated with latest LQ4 firmware. Yes. Proximity and ambient light is working. My only issue was that the phone kept on freezing and became sluggish. But I became used to it. First of all, thanks a lot for all this procedure. It feels quiet good using Jelly bean on SGSA but to my utter dissapointment I couldnot find the Polaris Office app as in Gingerbread. And I need Office tools anyhow. What do I do…? kindly help. Also I find many previous important default apps are missing.. What should be done.. Please help. Please update post with note that this not working for i9070p so people not brick their phones like I did. After bricking I read in comments that it is not for i9070p. We’ve mentioned the model number of the phone with which it works.. You should have asked before flashing your phone.. Anyways, we’ve added your request. After upate of JB, when I am seeing video’s in my s advance, the video is not ppaying very well… just like when we see the movies on scratched disk in the player… please help me bro. At that time am not able to use any other button.. at that I am removing the battery and restarting my mobile.. please help bro plz. Thanks alot, Saurabh, for the support and for this blog. I need to know how to fix some bugs i encountered with JB. Keep it up! Not detecting the phone 19070 in downloading mode… Any links to update USB driver in windows 7….. n never installed kies…. After installing JB, when it will release for my country then can i update it through Kies or i need to use odin again ? Hey saurabh i installed jb 4.1.2 xxlpz my phn is hanging when i play the video it stucks! what can i do i clear the ram also what can i do even i reset every thing bt its lagging?plzzzzz help me……………!!!!!! Thanks, I update my Advance to Jelly bean.. Please help!, i was following every steep in the guide, but then a little while after cliking “start” an diaologe box appeard saying “c:\users\personal\desktop\odin3 v3.04.exe with an yellow warning side, and i only can click “ok”, what does it mean? should i click ok and it will continuie?? if i cancel something bad happen?, how should i properly cancel the procces without bricking my phone? After installing the LQ4 firmware, my phone internet (2G) has become very slow, any pointers? Also the video playback is choppy sometimes, so can I downgrade to XXPY? so my question is…is that .md5 file is proper? how to use that file or extract that file now?? plz reply asap. coz m stuck in the middle of downloading process. need help urgently. yeah… md5 file is proper.. Use that file in ODIN as demonstrated in the video..
Hello …does your JB work on Galaxy s plus? No, this firmware is for sgsa phone only I9070 model.. So plzz suggest something to avoid this problem…. if i flash my galaxy s advance for the update will my warranty expire coz i just bought my phone last week ..?? Help will be appreciated .. But is it possible to flash i9070p? if so how? Do Not Flash i9070p with this firmware, otherwise your phone will be bricked.. I know that, thank you. but is it in fact possible to flash it? 1) I have been going through a lot of reviews about this phone on the internet. I noticed that most of the people are complaining about the network connectivity issue in this phone. Does this phone really have this issue? Did you faced it personally? 2) How is your overall personal experience after upgrading this phone to JB? 3) The price of Galaxy S advance as dropped to 15k. Another decent phone in this price range is Galaxy S Duos with comes for 13K. If I compare compare both S Advance beats S Duos in terms of specifications. But the only drawback is that S advance comes with Gingerbread. 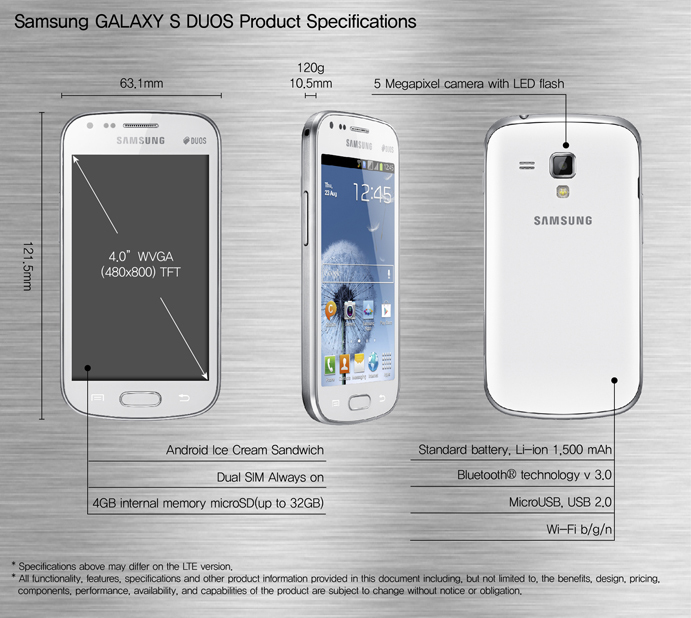 **Galaxy s Advance (after upgrading to JB) or Galaxy S Duos (which comes with ICS),** which one will you rate better in terms of performance? I have upgraded my newly bought mobile. Everything works well but, sometimes it doesn’t respond. One main major problem is with while playing videos. Any video format even YouTube video is also getting struck. Planning to get back GingerBread. Any suggestions? I was able to successfully udpate my S advance to JB. But i see that proximity sensor is gone and is ot functioning. I also checked it from call settings. I also doubt that light sensor is also gone. Any fix for this? Regarding performance of phone, it’s a bit laggywhile playing subway surf/temple run. Not bas as Gingerbread. But a bit. Inerface is cool far much better then GB. Sometimes it gets hang on occasions. I did all steps like factory reset, wipe caceh etc., as explained by you. Will there be any more version in JB for this s advance. But i want proximity sensor, and light sensor more than anything..
my phone is brand new without any apps ,music or contacts.do i still need to back up it. i have flash using your format and installed the JB for my s advance, but it is little bit slow, like gallery and internet and some times its hang. is it possible that using your ODIN i can flash with XXLQ4 . Using the above tutorial, you can flash any official JB firmware for your phone. if i do with XXPLZ it is working why..
DID U PLAY THE VIDEO IN UR PHONE AFTER INSTALLING JELLY BEAN…..???? it worked well without any problem…????? hi tarun i can play videos through mx player. in mx player settings u can find decorderclick that der u can see ‘use h/w+decorder ‘ un tick this option and scroll down den u can see ‘s/w decorder’ click all boxes of s/w decorder such as ‘s/w decorder local’, s/wdecorder(network), s/w audio. u cann see every videos through it. i have updated my galaxy s advance from ginger bread to jelly bean. every thing went well and phone working properly..except i have trouble with my phone sometimes. it is hanging and getting stuck when watching streaming videos..
Is OTG support have been added???? do we have to wipe cache and factory reset before the flashing or after flashing? sir when ill connect it to my pc it wont get recognized!!!!! Thankz a lot.I ahve updated jb and it is smooth.The problem now is the wireless doesnot connect in my phone.Please help. bro plz help me i downloaded both firmware and odin to my pc,when i am going to open odin it is’nt detecting my phone.i downloaded 1st firmware from ur website,i used different usb data cable for that (i mean to co. Of samsung) it does matter.what i have to do right now plz suggest me i am eagerly waiting for ur valuable response.thanku. You need to install drivers for your phone on pc.. Have you installed Samsung kies on your pc? What if the process FAILS!! no i did’nt install drivers plz tell me how to install,and also i did’nt installed kies to my pc.plz teach me both the process/step.thanku. Can u Please upload more updated version of JB if you have it. since software updation is causing failure all the time. hey pls help me.after doing this upgrade my phone is hanging too much.it stuck in middle of videos.unable to play games even when aftr I clear the ram.pls help me. Hi, I successfully updated my SGSA to JB. Everything seems to be working fine, only that i cannot watch videos, either streaming videos or the ones placed on my storage. None of them work. And if i try running them, my phone hangs n I have to remove my phone battery to restart it. Mr. Admin, can you please help me out with the lagging video problem? Apart from that everythng else is wrking superb. I cannot even watch small pixelated videos on my phone. Before the upgrade, i used to watch 720p videos on my phone. Kindly help. Is it some software related issue? like maybe with the MX player on which i watch my videos? my odin is not responding,when i click the”start “button.. Your downloads might have corrupted. Try downloading and extracting again.. The Guru or Android Technology Mr Saurabh. Have a very important question for my device.I have bought my cell phone in Aug 2012 GALAXY S ADVANCE. Since then iam facing connectivity issues with the phone. You didn’t mention what kind of connectivity issue? Data connectivity or network or wifi or some other kind? Network goes off and comes sometimes. Sometimes it shows full network but actually there is no network. Data connectivity goes on and off in background still showing full network sign and 3G sign on my phone. But when i use internet it shows no internet connection. Have you ever tried factory reset? Factory reset solves most of similar problems.. But factory reset deletes all your apps, contacts, messages, etc, so backup important contents before doing factory reset. but my network goes off and come . It shows full network and 3G sign but still when i access apps . It says No internet connection avaliable. i have to restart phone or restart network. select “Wcdma only” network in Network mode..
Did it solved your problem ? Tarun? I missed my update and my phone will not turn on. How to relight? I just bought the Galaxy s advance and the first thing I wanted to do was upgrade to Jellybean. It took me a whole day to get reliable information on how to do the upgrade. Finally on the site and I followed the instructions. Everything went smoothly. Thank you very much. Dear Saurabh, I have successfully updated my device’s firmware, however, I cannot connect to the internet, although the network is connected. Every time I enter playstore, it says server error. Does this have got to do with the update to Jelly Bean? Or is it just the network problem? Thanks. If you’re able to browse websites on your phone, it might just be network problem.. JB update doesn’t have network and data connectivity problems.. If internet is not working on your device at all, you should go to phone settings and check access point names configuration and make sure it is correctly set as per your network. Can i Install the XXPLZ on it ? as most of the users are facing some of the problems, or i can just give a try and if things dont work well than get back to its older version. These are official updates so unless Samsung decides to fix the issues users are facing, nothing much can be done. as instructed by u i have downloaded everything u told to upgrade to JB update to sam s advance,but for rooting u told to download root.exe where can i find it. WDCDMA MODE WORKS FOR 3G NETWORK ..AND GSM WORKS FOR 2G NETWORK IN OUR PHONES. There is no PIT partition…..plz solve this error. i read somewhere when you update s advance to jelly bean USB otg will work is that true? Thank you very much for this tutorial it was really helpful. I updated to JB, it was laggy but after update to Q4 it improved a lot and then I rooted my device and installed seeder.apk, which fixes the lag and dxtoolbox which clears the ram efficiently and now my mobile is working like a charm buttery smooth. JB is awesome. I have been using my mobile for months now but it looks like i just bought it yesterday lol. hello,after downloading the jelly bean my phone isnt working….the phone restarted hemself and now just showing me on the screen jelly time and beating as heart :))))what i have to do??? I am having small problem.. after updating,my mobile data is not working. APN has an extra option naming Baerer and that has three options naming LTE, eHRDP and unspecified.. Which one should i select? please help me out with this. i have a small problem that my ram id decreased to 625mb and games are not running well…please reply soon…but everything u said in this is very valuable…. I got a OTA update .Should i update? or will it give problems later.? dear sir ! I have a big prob with my Advance after rom flashing. 1. My old baseband is ZSLK3 ( bought in Hong Kong). When I upgarded to JB 4.1.2, there is no network connectivity, SIM card is not recognize then I press *#06# to check IMEI and that said null/null – baseband is unknown. I’ve tried 4 times to upgrade and downgrade, Wipe Date/Factory Reset but it still doesn’t work. If i am updating to JB whether ill lose my mobile warranty or what? Because somewhere i heard if we updating we will loose the warranty period. Warranty is not lost.. Rest assured.. I’ve personally contacted Samsung regarding this issue..
HI, the error popped out and said that ‘parameter is incorrect’ when i hit the start button during odin3, may i know how to solve it? Thanks saurabh… It looks pretty…. It is little bit laggy when we open contacts… everything works fine..
Guys do factory reset then only mobile will smoothly..
Can we do multi tasking as like in S3???? my phone hangs a lot after i downloaded the latest version!!! any tips how i can get my phone better??? Dear Saurabh, if i update my android version to j.b will dis finish my phn’s warrenty..? Hello, I’ve followed all of the staps and now have Jelly Bean on my S Advance. It is very beautiful, but it isn’t really smooth… Even if I listen to music with my headphone I very often hear the ‘lag’. In two days time, it crashed 10 times. How can I make it smoother or just put the original Gingerbread on my device, and wait until the official (in my case) Dutch software comes? I hope you can help me. After updating battery bckup has got zero. Now what to do to improve it.?? I followed the steps perfectly and have updated my S Advance to Jellybean! the problem is that my mobile hangs very frequently ..
i have tried uninstalling apps that takes a lot of RAM, but still the problem persists..
just want to know.. is it… everything will be erase…. Backup your contacts by choosing export option.. Yeah, all your apps, personal details, account details will be erased so backup everything that you want to..
thanks alot Guys I followed the steps and it worked perfectly… you guys are awesome! i allready follow your step but i have some problem..
i cannot connet to internet by my mobile network.. why?? my samsung galaxy s advance chews up my minutes even though phone is just idle. Is there a setting to stop this? Hello Saurabh Could you help me please to restore the old update for my Samsung advance since i downloaded Jelly Bean 4.1.2 and it have been destroying my phone starting with Videos,YouTube And Games and it keep restart by it self Much Lag even tho i got more Ram,Camera Zoom and most of all speed but the lag and crashes when i watch a video is making me sick…it makes me wait it least 5-7 minutes until it works could u please send me a link of the old update which came with the samsung advance when u buy it [Ginger Breed] with steps of how to download it and i hope also if u can tell me when i re update it to the old ginger breed well the lags when i watch videos or youtube still with it or it well be removed …. please replay fast thx!!! I cannot download XXLPZ because download time from hotfile is 30 minute.I have slow internet connection which takes about 1 hour 15 Minutes.So can i get another link. I have got a question..? If I install I9070XXLPZ firmware on my S Advance through Odin.. Will I automatically get the I9070XXLQ4 update ? If you do factory reset from recovery mode, photos, music, videos are not lost.. Contacts, apps, messages, personalized settings, etc are lost. Hi Saurabh… I updated my Samsung Galaxy S Advance with Jelly Bean successfully. but now, i am not able to connect to INTERNET. When, I activate Data Network mode, there is a fluctuation in the network. Most of the times network is fluctuating. Kind help me to overcome this issue. i am not able to access INTERNET. Did you do factory reset? Thanks for such a useful info & video tutorial for updating the os of galaxy s advance. I have downloaded the XXLPY firmware from the links given by you. But before updating I am having some queries. 1. What new features will be added after updation? Is there any video you have uploaded to show the new features? 2. Will my Galaxy S Advance be visible in Google Play Store after this updation? 3. Where is the link for guide to downgrading to G.B.’’? Hi the update fully worked but after few days when I was going to turn on my phone it was repeatedly playing the samsung logo and it was like forever does factory reset will solve the problem please help me ASAP!! i upgraded my s advance & i dont have any problem only the my phone speed that will use 500MB (average) without any activity. of course it has 75 ram plus past. do yau have any suggestion to reduce ram usage? No lag No Nothing !! First of all thanks for the support and for this blog. My device is working fine. I have no issue. Even my i9070 is working very smoothly before. I have no problem like hanging restart automatically ant many other. There is no problem in internet connectivity. hi if i update my samsung galaxy s advance to the firmware that u have provided here in the link… will this void the warranty of my phone . is this the official update . i have downloaded the file from your website and have extracted it completely. i have downloaded this version XXLPZ. Read other comments, warranty is not void since this is official, but launched in different country. is it need to be rooted before update Samsung Galaxy S Advance with Android 4.1.2 JellyBean Firmware ???? can i follow the same process for my …. Samsung Galaxy S Advance [Built-In 16GB] ???? No it doesn’t need root.. This process is for 16Gb SGSA I9070 model. if i dont root my device after upgrade and also wipe cache & factory reset from the recovery mode……. then how will be the performance ??? Rooting is not necessary.. But wiping cache and factory reset has been so far necessary otherwise you may face connectivity related problems or device lags, etc. Please advise me as to what is the difference between i19070p and i19070. Are the features are same? Why the jelly bean update as advised by you in these discussions is not possible for i19070p. I9070p has NFC as well whereas the regular model doesn’t have. This JB Firmware is released for i9070 and so must not be flashed on i9070p, otherwise the device might be bricked..
Hi Saurahb. How do you clear cashe on your I9070? By Step 5 wenn i press the buttons it doesn’t come the warning page it come something orther. saurabh kumar!! plz tell me!! if﻿ i upgrade this Android 4.1.2 firmware will i lose my warranty??? plz tell me because i really want to upgrade my phone!! Read other comments. I’ve answered this several times. Hint:Use ctrl+f to find all instances of the word warranty on this page. sir after factory reset i m still facing no internet connectivity…… what shoul i do?????? Hey, Saurabh first off i think you did a great job with the video and the explanation. Second, I read all the comments and i’ve heard that the official JB update in India is scheduled for the 26th of April, since i’ve waited so long i guess i can wait for 6 more days. But if they dont release it on the 26th i will flash it using ODIN. For that I just have 1 question. After you Flashed the Phone using ODIN did you Encounter any problems with it? where u heard that the official JB update in India is scheduled for the 26th of April,…???? Information on the updated model, which is not included in the list at the moment is missing. Via task manager.. Press ctrl+alt+del to start task manager or right click on taskbar and select task manager..
Hi Saurabh, at first thanks for your support. just wanted to seek your help. I also tried battery out and back in, but no difference. I am in Germany, going to Samsung Service center will cost me not less than the price of a new Galaxy S Advance. – Charged battery 100% full. – Kies was not running, i even closed all agents for Kies using Taks Manager Processes, to make Kies is fully down. – I used I9070XXLPZ_I9070SERLPZ file. Is your phone model I9070 or I9070P? My Phone model is I9070P. was it wrong Model for the firmware Binaries ? What do you suggest for me in this situation ? Yes, it was wrong.. I’ve already mentioned in the article itself that one should not try this with I9070P.. You need to get it repaired..
you are right, it is mentioned, I overlooked due to excitement. What’s in this version can not screen capture? I’ve succeed install and run the factory reset, I continue to try to screen capture (home button + power button for a long time) the result can not. This version can easily do screen capture, but many users like you find it difficult. It takes some practice to do it right way, but it works. Keep trying and you’ll master the method. I have successfully updated the jelly bean on my s advance. But after installing jelly bean I feel that my phone is getting slow. Its memory usage is high. So I want to downgrade it to original one which was ICS. Could you please help me how to do that. can I use this in Montenegro? Still you have not replied to my queries. I have downloaded the XXLPY firmware from the links given by you. But before updating I am having some queries. 1. Yes.. I don’t have the handset with me so I can’t create new video on it..
i hav already upgraded my phone to jb XXLPY version bt i m nw unable to upgrade its firmware……. when i m updating it , it is shownig that unable to update . Hey thanks Saurabh, i have updated it and its working fine but i lost my﻿ doccument viewer app how should i get it back? plz help me buddy..
Hey saurabh pls help me. .i have already upgraded my phone to jb XXLPY version And when i connect it with on my pc with kies it shows update i.e I9070XXLQ4 and i updated ……..i m from india But now when indian firmware of jelly bean is available i.e I9070DDULP8 i install with this firmware through odin…but now when i connect it with kies it shows that “YOUR DEVICE’S CURRENT FIRMWARE VERSION IS NOT SUPPORTED TO UPDATE FIRMWARE VIA KIES” ..NOW WHAT TO DO ..? ?PLS HELP ME…waiting for ur reply….. Flash your phone with official Indian Jelly Bean firmware using the same method as described in this tutorial.. The download link for Indian JB firmware is added in the first step.. I already flashed with this method.but pblm is mentioned in previous comment..pls help me. Pls read my comment carefully..
Hi Tarun, i had flashed my SG advance with russian firmware before. And now since Indian version of Jellybean was available..i flashed my phone with indian Jellybean version. So to connect your phone to PC via Kies, you will hav to upgrade kies which will support indian JB…connect your phone..let Kies detect it and then upgrade Kies software. i consumes about 470+ ram which makes the games and the UI quite laggy. any solution would be appreciated…..
if i upgrad jb, can i see bangla in this mobile? plz bro change this website it is’nt supporting resume and i download it several times but sometimes it stoped at 300mb,sometimes 348-370mb.so plz plz change the format/website to fix this major problem. Factory Reset your phone and then also do wipe cache partition in recover mode. After updating my advance phone it gone to reboot, later it doesn’t work what can do? Is the above method is good for me or not ? I upgraded my sgsa indian jb firmware by odin kies doed not support it it shows firmware not supported wat to do plz help me saurubh sir plzzzz!!!!!!! Hello Niket Chauhan there is nothing wrong with your phone. but you need to upgrade you samsung KiES as well. Hey imran my kies is updated bt pblm same as it is as mentioned by niket chauhan..wht to do now..???? I have updated the software on Galaxy S advance to 4.1.2 jelly bean, but when I try to update software via update command in settings then it says cannot update firmware. Can you please help me? Upgraded My new mobile to 4.2.1..looks like it’s a Developer Build, not intended for daily use. after updating galaxy s advance to jelly bean, when I move to setting–>update then it gives error while updating firmware…why? please help?? bro i have already upgraded to russiun firmware and now i want to update with indian firmware may i update or not? And method is same na. yes you can .. the method is same..
it is indian official version ?? i want to indian official version ?? There is link to download official Indian JB version in 1st step as well..
its 4.1 or 4.2 ?? sir, do you know why my handphone keep hang when i plying games? like iron man 3? Hello. Thanks for your great guide! I have not started the procedure yet, as I have some questions, that I would be pleased if you could answer. Firstly, what is the main diffirence between SERLPY and SERLPZ firmwares? my phone? And if yes, how? Furthermore, there are some applications that are not compatible with this phone, for example Facebook home, will they be compatitible after the update? Last but not least, is it “legal”? I mean, is it allowed by samsung? I look forword to your reply. Read the guide and other comments thoroughly to avoid any problems.. The difference between the firmwares is their release date. The latter is considered to be more stable..
You’ll be able to downgrade to GB.. This is legal and is allowed. Your phone’s warranty is not void. Facebook Home will still be incompatible because sgsa is not compatible with FB Home officially, but there are workarounds to install FB Home on incompatible devices as well.. I successfully upgraded my phone :). However, I only face one problem. My phone says it has software updates, I download them, I install them, the phone reboots, but when it opens, it says the updates failed. I also tried via kies, with no results either. I am also facing same problem..? Hey Saurabh thanks a lot now i have changed to Indian version of JB. Its rocking now! thank you very much . i had been waiting for the official update from samsung but it never came .. i have successfully done every step you said and it works excellent . again thanks for this help ..
Hey Saurabh, as per your guidelines i installed JB on my SGSA 2 months back. After installation i did hard reset and even formatted my phone. But its lagging a lot. I dont know what to do. Plz suggest me good solution coz i dont want to downgrade my phone to GB. I have updated JB 4.1 after updated I am not able to connect the internet for my laptop (Windows 8) through Bluetooth please help me. thx alot! do you recommend cocore 6.2 kernel with stock jelly bean? one more thing do I use the same root zip to root this new version? Yes, that root method and package works with almost all jb version for sgsa..
my phone samsung s advance can’t on after doing this. what should i do? You can flash any JB firmware for SGSA using this method. thank you… but having problem with video.. show some green n red side of the screen while watchin movie.. is this fixable???? Hi i have already follow all these steps and my phone is working great and now there is another update 4.2 i tried updating it but when it reebots there will be an android with a warning sign on it when the phone reebots again they say that there was an error while updating what could be the problem? ICS has not been launched for sgsa..
can i use it in samsung galaxy ace duos gts 6802 ? Dint update jellybeen 4.2 version.its warst software. hi..i updated to jelly bean via kies but after upgrade the phone lags and has become much slower although i did factory reset it after updation but still there are issues it hangs, lags….someone suggested rooting the device would help..does it or theres any other way to improve the performance?? Make sure your model number is GT-I9070. Follow the instructions properly and you should not face any issue of bricking, but we can’t take responsibility for the unforseen..
is it alright for zslk3???? today i upgraded s advance from service centre.but now it shows no network signal. and battery drains too fast. 50% battery drins in 30 minutes. Since the handset is not with me right now, I can not give you guaranteed solution. But 50% battery drain in 30 minutes is unbelievable. There might be something wrong with the battery. On another related note, To all those who’re facing battery and speed issue, you should try disabling data when not using mobile internet. OF course, this appears like compromise, but the mistake is from Samsung, which has not released stable, reliable or good Jelly bean update. Very poor after-sales support from Samsung for galaxy s advance. Hi, Saurabh Really Thanks For this update.. I update The India version Jellybean with the help of your information Given..Its Awesome and have no Issues..My Phone Speeds Is very Fast And Smooth.Camera is also Improved..Again Thanks..
How do I update my phone software. Please guide me. Download your firmware and follow this tutorial, but with your firmware file in PDA option in ODIN.. Awesome, this saved me a lot of frustration with Samsung Kies and messed up MTP-drivers. Thanks for the clear instructions. I use u r JB. but phone is very slow in all time and stuck it and phone said that worked application is not responding . sir how to solve this problem . take me correct solution sir. 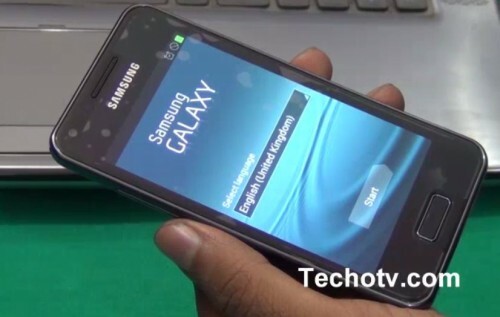 it there any jelly bean available for galaxy s advance gt-i9070p ???????????????? hi, tried upgrading my Samsung G Advance phone ( I9070P) to JB, as per your instructions, first every thing went fine, but later (after passed message got in ODIN) screen went blank, no display. Now my computer not detecting the phone, also phone not getting start or get charge. its become like a dummy piece. volume up+home+power key press also doesn’t help to get any thing on phone. Please help to recover what I lost, my phone doesn’t work now. I read your message ( (This doesn’t work with I9070P) after I finished upgrade process.. Your downloaded file might be corrupted. You should download again. What should I do now please help me. Hey dear i need that Background Music (BGM). PUt it in some host file and share it with us. This guide was not for I9070p. The same is already mentioned in the article.. Your phone is bricked.. You’ll have to visit service center..
if i update my s advance with jellybean 4.1.2 indian version then my warrenty would be void or not ??? hey, he said that I9070p doesn’t work with this, so why did you try? sir I had just updated my phone. phone updated but it didn’t boot anymore. my phone is dead. what to do. please help. is your phone’s model I9070p? Hi Sir, I did as u instructed.It is stuck on gsm verification..it keep saying google gapps has stopped & setup wizzard has stopped too.i dont have any chance to see a home screen! I already wipe data an cache but still the same problem. Also the “efs file failed to mount”.why? Please help me imediately..and i’ll apreciate it thanks.